There is an easy way to find a common denominator between two fractions - multiply the denominators together! This might not find the lowest common denominator, but often times we need to reduce when using the LCD anyway. 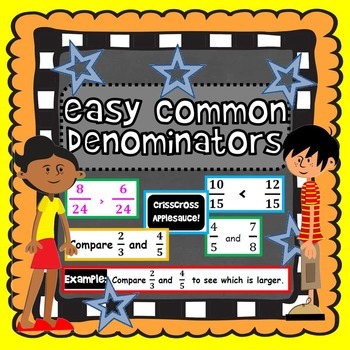 This download includes a lesson on the easiest way to find common denominators and a practice page with answer key. Especially for students who struggle with Math and need concrete steps and scaffolding.